George Mason University is an authorized partner with the International Baccalaureate to offer graduate programs that lead to the International Baccalaureate’s "IB certificate in teaching and learning" and the "IB advanced certificate in teaching and learning research." Wherever you are in your IB teaching journey, we have a flexible program that will help you achieve your goals. With online and summer intensive options, our IB Authorized Educator Programs are designed to fit within your busy international teaching schedule. The IB certificate in teaching and learning is ideal for new and experienced educators who wish to learn about curriculum processes, teaching and learning, and assessment within the IB. Upon successful completion of a graduate certificate or Master’s of Education degree through the Teaching Culturally and Linguistically Diverse and Exceptional Learners (TCLDEL) program at Mason, educators are eligible to register for the IB certificate in teaching and learning. The IB advanced certificate in teaching and learning research supports the advanced learning needs of experienced IB educators, and those who wish to develop an expanded research capacity. Participants in this program will examine contemporary issues in IB education and further develop their own inquiry as an IB practitioner. 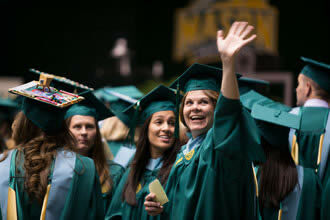 George Mason University is one of only two universities in the United States to provide coursework that leads to the IB advanced certificate in teaching and learning research. Upon successful completion of a Master’s of Education through the Advanced Studies in Teaching and Learning (ASTL) program at Mason, along with satisfying the IB’s teaching experience requirements, educators can register with the IB for the advanced certificate in teaching and learning research. Eligibility for the IB advanced certificate in teaching and learning research is obtained via the successful completion of all Advanced IB Studies coursework (15 credits), an additional course in IB research (3 credits), and 12 additional credits in advanced pedagogy, culture, and leadership. This coursework results in a Master’s of Education in Curriculum & Instruction.